U.S. President Donald Trump threatened on Monday to impose a 10 percent tariff on $200 billion of Chinese goods, prompting a swift warning from Beijing of retaliation, as the trade conflict between the world’s two biggest economies quickly escalated. In a statement, Trump said he had asked U.S. Trade Representative Robert Lighthizer to identify the Chinese products to be subject to the new tariffs. 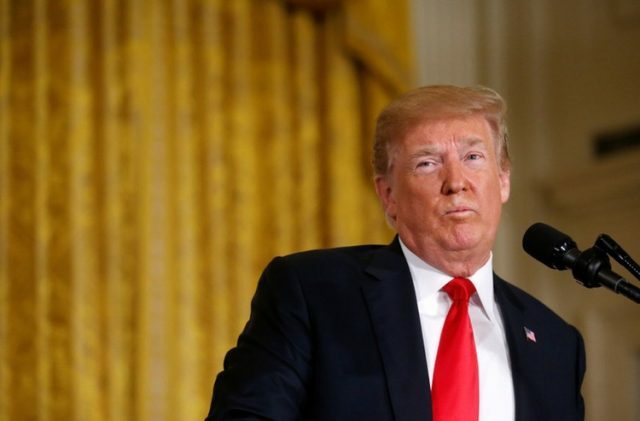 He said the move was in retaliation for China’s decision to raise tariffs on $50 billion in U.S. goods, which came after Trump announced similar tariffs on Chinese goods on Friday. The news sent global stock markets lower and pulled down both the dollar and the Chinese yuan in the offshore market. “Such a practice of extreme pressure and blackmailing deviates from the consensus reached by both sides on multiple occasions, and is a disappointment for the international community,” the ministry said in a statement on Tuesday. “The United States has initiated a trade war and violated market regulations, and is harming the interests of not just the people of China and the U.S., but of the world,” the ministry said. If the U.S. becomes irrational and publishes that new list of tariffs, Beijing will take strong countermeasures to safeguard the interests of China and its people, it said. Some of those tariffs will be applied from July 6, while the White House is expected to announce restrictions on investment by Chinese companies in the United States by June 30. A spokeswoman for the U.S. Trade Representative’s Office said the new list would replace the previous $100 billion list that Trump ordered to be prepared in early April as a response to China’s first round of $50 billion in retaliatory tariffs. According to U.S. data, China imported $129.89 billion of U.S. goods last year, while the U.S. purchased $505.47 billion of Chinese products.